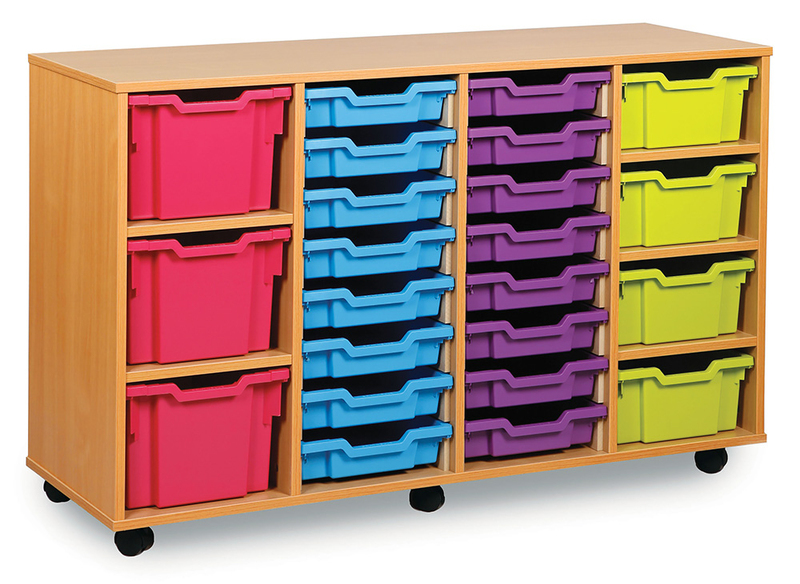 The sliding door tray storage unit for schools comes with 16 shallow, 4 deep and 3 extra deep Gratnells trays. Supplied with lockable sliding doors with an inset handle which allows you to lock away any valuable items or school equipment. 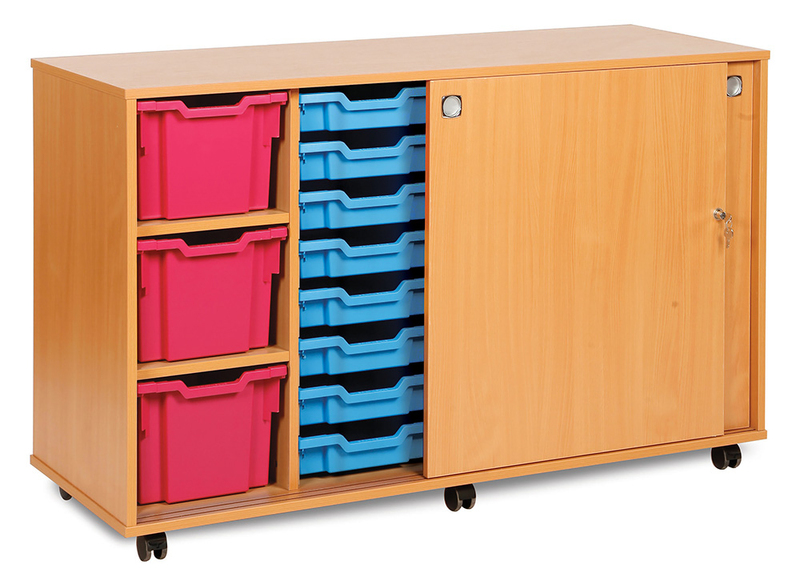 Constructed with durable 18mm MFC in a modern beech finish and supplied with castor feet so you can choose to have your school storage unit mobile or static. 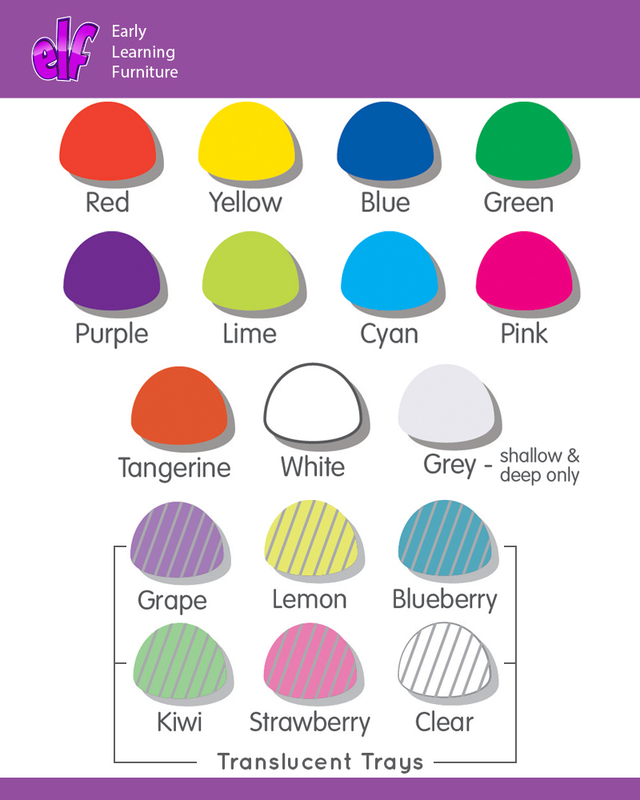 Add some fun to your classroom with our trusted Gratnells trays - there are 16 eye catching tray colours to choose from.